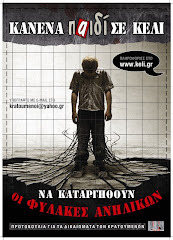 Our organizations participating in the Campaign for the Access to Asylum, have already expressed since the very beginning of 2016 our deepest concern in relation to the adoption by the European Union and the Greek Government of asylum policies which constitute an unprecedented retreat from the European acquis in the field of refugee protection. This view has been expressed and documented in our previous public statements as well as in our press conference held on the 31st of March 2016 in reference to the EU-Turkey Statement and its repercussions. Today, nine months later, reality reaffirms our previously expressed fears and the Joint Statement proves to be disastrous for the management of the refugee issue, given that its implementation has led to the stranding of thousands of refugees on the islands of the north east Aegean Sea, who are forced to live under unacceptable conditions. This is tragically evidenced by the death of four asylum seekers. · There are more than 16.000 refugees stranded on the islands of the north east Aegean Sea, living in overcrowded Reception and Identification Centers, their number exceeding by far the capacity of those centers and all other available accommodation places. · Detention up to 25 days is imposed to all new comers, including vulnerable groups, without any individualized evaluation. · A mandatory restriction to stay at the islands is imposed to all asylum seekers falling within the scope of application of the EU-Turkey Statement notwithstanding the fact that the reception conditions are completely incompatible with the relevant legal framework and not even the minimum safety standards are being observed. - competence and accountability issues because of the involvement of EASO personnel in the examination procedure of the asylum requests. · Among the persons that have been returned to Turkey under the Joint Statement framework there have been documented cases of people that had previously requested international protection and were removed in violation of international law. · Because of the unacceptable reception conditions, the persons stranded on the islands attempt to abandon the islands and come to the mainland, which in turn results to the deterioration of their actual and legal situation due to the legal gap that is created concerning their residence status in the country. · According to the Greek authorities, there are still approximately 47.000 refugees staying in the country, a big number of whom lives in unacceptable conditions, sometimes reaching the threshold of inhuman and degrading treatment. - the problematic examination of the applications at second instance, especially after the formation of the Independent Appeal Committees (under the amended provisions of the Law 4375/2016) and the subsequent extended participation of judges at these committees, taking into account that the legality of the formation of these committees is being challenged in front of the Greek administrative courts. · Intensified the tensions and created incidents of intolerance to the local communities, which were until recently standing in solidarity with the refugees, exposing them to the influence of the racist rhetoric and its followers, for which we are expressing our concern. At this point we would also like to express our concern for the similarly alarming inaction of the competent authorities concerning incidents of violence against refugees like the ones that took place at the camp of the Souda region of Chios. · Moreover, as a result of these policies the smuggling mechanisms have strengthened at the expense of refugees and in favor of those taking advantage of them. · The Greek authorities are already preparing to transfer the asylum seekers whose applications are still pending to closed centers, which practically means detention centers. · The European and the Greek authorities are planning to extend the implementation of the readmission procedure to Turkey to the only categories of asylum seekers so far excluded, in particular to vulnerable cases and to family reunification applicants under the Dublin III Regulation. · The European Commission is planning the resumption of asylum seekers’ returns back to Greece under the Dublin III Regulation, which has continuously been criticized and condemned for the deadlock, unfair and inhuman situations it produces, and without regard and against the findings of the Council of Europe Committee of Ministers (which is the competent authority for the evaluation of the general measures adopted by the Greek government concerning its compliance to the M.S.S. 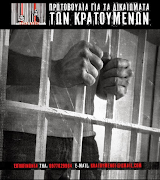 v Belgium and Greece judgement of the 21st January 2011 of the European Court of Human Rights) that Greece hasn’t cured the violations of the legislation for which it was convicted by the European Court of Human Rights with the aforementioned judgements among others. At the EU level there is a need to abolish the Dublin III Regulation and create a permanent relocation mechanism, binding for all member states, on the basis of a fair distribution and responsibility sharing, aiming at the protection of refugees. At the national level there is a need for the implementation of a fair and effective reception system which will on one hand respect the rights of asylum seekers as those are depicted in national, EU and international law, and on the other hand have the capacity to manage in due time registration and examination of asylum applications, as well as processing of family reunification and relocation cases. · involvement of EASO staff in the asylum process despite the fact that this is not in accordance with the Regulation of this EU Agency. 2) Asylum applications submitted in the islands should be examined in merits at the mainland in a context of freedom and decent living conditions. 3) Asylum applications submitted by persons who have left the islands and have moved to the mainland should also be examined in merits at the mainland. · Provision of reception conditions which are compatible with international law. To this end it is urgent that the authorities will soon absorb the available EU funding which is not taken advantage of –in times of refugee and financial crisis- due to delays in constituting and running the Responsible Authority. Given that more delay in taking these steps will lead to even more disastrous results, we hope that the competent Greek and EU authorities will take our recommendations into serious consideration and we remain at their disposal for detailed discussion on them. See also recent ECtHR decision prohibiting Hungary to return asylum seekers to Greece under Dublin III Regulation: ECtHR, M.S. v. Hungary, Application No 64194/16; H.J. v. Hungary, Application No 70984/16. See further Hungarian Helsinki Committee, Update on Dublin transfers, 14 December 2016, available at: https://goo.gl/R3Thn5; Greek National Committee for Human Rights Statement in response to the recommendation of the European Commission to reactivate the refugee return mechanism under Dublin system (19.12.2016) available at http://www.nchr.gr/images/pdf/nea_epikairothta/Dublin_statement_gr.pdf.